This section discusses the cost of concrete pavers, paving stones, and other hardscape materials and projects. Click on the following blue links to access these articles. Come back often for newer articles. One of the classic things to install at your home is a concrete patio. This is a popular option because of the concrete patio is strong, durable, and relatively inexpensive to install. If you are beginning your research process, you’re probably wondering about the concrete patio cost. This article cannot substitute for proper estimator working on your job, but it will give you some guidance as to what the price may be, as well factors that could affect the final price. Obviously, one of the main benefits of the concrete patio and the reason why many homeowners install one is its price. Concrete patios are cheap options when compared to brick, concrete pavers, stone, tile, and other hardscape solutions. However, you don’t want to go with bargain basement concrete, as you’ll have to deal with horrible cracks and other damage in the long run. Thus, make sure you’re getting a good deal, but don’t immediately go with the bargain option. Going for the contractor with the lowest bid is the quickest way to ensure that you’ll have to get the patio reinstalled in a few short years. There are number of factors that contribute to the overall price of the concrete. The first is, of course, the price of the concrete itself. In addition, there will be other materials that may need to be added to the concrete in order to reinforce it or make it look nice. For instance, wire mesh or rebar might have to be added to ensure that cracks don’t grow too large. In addition, some preparatory work on the foundation or subbase of your new patio may need to be done. The extent of this preparatory work will obviously depend on the particularities of your project. You also have to pay for the molds and forms that may be necessary to create your patio. In addition, there are other specific factors that may affect the final price. For example, the location of your home, i.e. the standard of living in your area will obviously affect the final cost. To put it simply, contractors in richer areas will just charge more for the same type of work than contractors in a less expensive area. Other minor factors include the time of the year, commodity costs, and the particularities associated with different contractors. Note that a smaller area of your patio will usually cost more per square foot than if your project was a larger area, so it may pay to get multiple places poured or to enlarge the size of your patio, if desired. All the above deals primarily with poured option. However, it is possible to get large concrete slabs brought into your home and laid like papers. This option will generally be cheaper, as you won’t have to deal with wet concrete, molds, forms, and other aspects of the installation that are somewhat time-consuming and expensive. The downside to a concrete patio, however, is that it is somewhat boring to look at. The gray and drab concrete certainly does go with most house designs, but it is not the most ideal hardscape solution in most situations. However, for those who want concrete for its cheap price but don’t mind spending a little bit more to improve the look of patio, there are few options available, which will be discussed in the following section. There many other ideas you can use to spruce up your backyard patio without having to go with more expensive options like pavers and natural stone. For example, it is possible to get stamped concrete patio. This will allow you to create many different designs, such as the appearance of bricks, in your patio without having to actually get paver materials and other expensive options. However, the stamped concrete patio cost will be higher than a that of a typical concrete patio. Another option at your disposal is to go with a colored concrete patio. You can either do this by having the color mixed into the wet concrete before it’s poured, or by using concrete stainer to color the surface of the patio. Both of these options will incur a slightly increased expense, but it could make your patio quite unique compared to the typical look. Don’t forget as well that there may be other costs associated with your patio, such as maintenance and upkeep. (See a discussion of concrete patio repair here.) You may also want to get accessories for your new patio, such as a new set of furniture or patio enclosure. For discussion of some outdoor patio ideas and enclosed patio, see these articles that are linked here. So how much does a concrete patio cost in the final analysis? Obviously, we can only give a rough estimate due to the many different factors at play we comes down to getting estimate. Thus, it’s best if you contact up to three contractors in order to get a proper estimate done for your job. In general you should expect to pay anywhere from $2.50-$5 per square foot for plain, typical concrete, depending on how complex the job turns out to be. If you begin to get stamped variations, you’ll be in the range of $5-$10 per square foot. As you get more complex, with special designs, stamps, and colors, you’ll be in the range of $10-$15 per square foot and maybe even higher, and at this point it will pay to look into the paving stones option, such as a concrete patio pavers, unless you are dead set on a concrete patio for some reason. It should be known that the price of concrete is increasing constantly, so you may not get the deal that you got a few years ago any more. Most people will have to settle with the job costing within the four figure region, most often between 2000 and $5000. Time to get a new driveway, huh? Well, you’re probably thinking about getting asphalt installed; why else would you be here, then? It should be said straight out that the main reason people choose asphalt is due to cost. Among all the paving solutions you can have for your home, asphalt is the cheapest and most common. The only cheaper option really is loose stone, but this material comes with its own headaches (mostly maintenace) that makes it a relatively weak option for most homeowners driveway needs. To that end, this article will give you a brief run down of the main factors that affect the price of asphalt, along with a very broad and general estimate of what you might pay for the material for your next outdoor hardscape project. Asphalt is a hot mix of ‘liquid asphalt,’ which is actually the stuff that is distilled from oil byproducts, and aggregate, which is a fancy word for stone. The price of these components together determines the asphalt paving pricing that you can expect. The main causes for the changes in asphalt pricing depends on a number of factors. Those interested in the exact prices per ton can find an asphalt “price index” that shows how these prices have changed over time; for instance, check out this government resource. This resource gives you the price of the asphalt per ton; to figure out how much you’ll need will depend on the price of the asphalt per square foot. Note though that it’s the prices in California, and it’s somewhat old, but at least you can get a general idea – you can expect to be quoted anywhere from $80 to $130 per ton for your asphalt, and this number will continue to increase as oil prices increase. In addition, the thickness of your driveway will also affect the price; thus, you’ll come up with a ‘volume’, measured in yards or some other quantity, that you will need to purchase. To do this, multiply your square foot measure by the thickness of the driveway in feet. This gives you cubic feet; multiply this by 145 pounds per cubic foot to get the weight of your asphalt. Divide this by 2000 to get tons, and then check the table (listed above) for a general price. The exact amount you need will depend on your project; your contractor should give you an estimate on this. In addition, the price will also depend on the quality of the asphalt you purchase, as well as how much aggregate it contains relative to liquid asphalt. The main factor that affects the price of asphalt is oil costs. Asphalt is made from oil-based products, so as the price of oil increases, the overall price of the asphalt will increase. The increase in oil pricing can also have secondary effects on the price of asphalt aside from the affect on the price of its components. For example, contractors who install asphalt may have to charge higher prices due to increased fuel costs and delivery costs for their work. Thus, oil price pressure can have a profound impact on not only the base price of the material but also on the overall costs of installing it. Note that these costs will affect any other asphalt products, such as asphalt shingles. This just goes to show how critical oil prices are to our economy, and how increased pricing pressure can trickle down to all areas of the broader economic picture. The second major component is the price of the aggregate. This depends on a number of factors as well, but also note that it is oil (e.g. fuel) dependent. As we’ve seen above, the raw price you’ll pay will depend on many geo-economic factors, so whatever number we quote you will inevitably be wrong a month from now. In addition, there are other factors that affect the price of the material, factors that are particular to your local area and project. 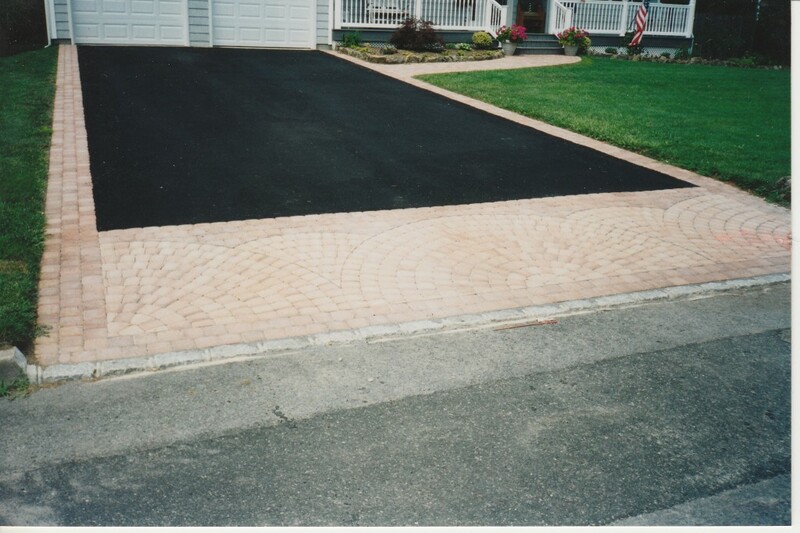 For more information on asphalt driveway cost, see the article linked. We can, however, give you a decent range of the prices, or an average, that you may expect to pay for the material. A good measure for the full installation of your driveway is around $1 to $5 per square foot, though you’ll probably pay more towards the lower end of this range. Note that this may or may not include the $1 – $3 cost required to install a new aggregate base, if needed. To get a more specific price, you’ll have to ask contractors for an estimate. This estimate should be free, so don’t think you have to pay for this service. You could also try to find cost calculators on the internet, though these too will only give you a rough guideline as to the costs associated with your project. Here is a cost calculator that may give you a good idea. Note, though, that they will also not give you any notion of the ongoing maintenance costs you’ll incur, so use them with care, just like you’re using the information from this page. Note that the installation is not the only aspect of the asphalt driveway prices that you have to worry about. To keep your new driveway looking nice, you’ll have to maintain it every year or so. This will require sealcoating, resurfacing, and overall repair of your asphalt driveway as it cracks, fades, and wears away. For example, you’ll pay somewhere around 8 to 30 cents per square foot for resurfacing. Granted, you could skip this maintenance, though the lifespan and overall appearance of your new project will greatly suffer in the short and long term. If you are starting a new DIY paving project in your front or backyard of your home, such as a patio, walkway, driveway, and more, and you are using brick pavers, you are probably here because you are interesting in buying brick pavers for your project. However, before you buy brick pavers, there are a few things you should know. This includes the prices you’ll pay, how to save money on your pavers, and other options that are available to you if you find brick to be too expensive or not appropriate for your project. Unlike their cousins (concrete pavers and natural stone pavers), there aren’t as many options available when it comes to colors, shapes, and sizes of brick. Most will come in the ‘standard’ brick size. As a result, your patterns and designs will be somewhat limited, especially when compared to other options. Due to the hardness of the clay, it is difficult to cut them into the shape you want, so you should use brick pavers only if you want the traditional look of laid brick. In addition, there are fewer colors of brick available than what’s available in concrete and stone. If the brick goes with your decor, then this probably doesn’t matter to you, but keep in mind that there are other options available to you if you want to explore other designs. (See the discussion below for some leads.) You will see red brick as the most common, though browns, blacks, and other colors are possible. However, you might also find that these limitations are useful in that they make it easier for you to make your selections. Before you begin your research, you should narrow down the shape, size, and color of the brick you want. This will help you during the research process, though you will not be that hindered if you go into it unprepared. Note that much of this discussion of costs depends on the square footage of your project, so be sure to measure that out before you do your research. Realize as well that you’re going to be buying more brick than you need, both for cuts and for wasteage. For the material, you will pay around $5 to $15 per square foot. The exact pavers cost relies on so many factors that it’s hard to pin down an exact one for you given your different areas and needs. Just know that if you get pavers on the low end of this scale, you’re getting a pretty good deal. Note that concrete pavers are a cheaper option, so if budget matters, consider looking into these. When it comes to saving money on clay pavers, it’s all about knowing where to buy brick pavers in the first place. Here’s a listing of the best places, both offline and online, to do that. You should always start with the usual suspects when it comes to home improvement – stores like Home Depot and Lowe’s. They will have a limited selection in types and colors, though, and you may not get the best prices through these sources. Thus, just use these bricks and prices as a guideline. If these places don’t have the brick you want and need, you should try mason supply yards next. This is a requirement if you need a large number of brick. If you just need a few for some stepping stones or garden border, a home improvement store is probably fine. But if you are constructing a patio or walkway and need them by the pallet, you will definitely need to go with a mason supply yard or other materials supplier. You can also check with online companies for discounts and other good deals. Note, however, the importance of geography here: you might find a great deal on brick pavers but actually end up paying more due to high shipping costs. In general, it’s best to stay as local as possible, since the shipping costs will be lower and already factored in to the price you’ll pay. Note though that you’ll also have to pay a delivery charge to have the brick brought to your home, though if you have a big vehicle you could transport them yourself. Probably the best ‘underground’ option is to check out classified ad sites like Craigslist. Many homeowners rip out old brick walkways, driveways, and other projects, but don’t want to pay for the disposal of the brick. They then post them for free, or at least a nominal charge, on craigslist. As long as you can come and pick them up, they’re yours. Granted, you’ll have to get lucky with the color, type, and condition of brick you get, but this is a phenomenal way to get an amazing deal on used brick. Another way to save money is to get ‘thin brick’ and lay it over an existing concrete slab. Thin pavers over concrete should only be done if the slab below is in good condition; if it cracks, you may have a problem with the surface of the paver project over time. Finally, the other major way to save money on your pavers is to install them yourself. If you pay a contractor for installation, you will pay much more for the project above and beyond the materials costs. Thus, if you have any skill and willingness to do the work yourself, consider doing as much of hte work as you can. Of course, if there are certain parts of the project that are beyond your skill, consider hiring out subcontractors for those portions of the project. NOTE: Don’t buy regular bricks that you’d use for walls or facing! These are actually different than ‘brick pavers,’ which are made to withstand soil and water. Regular brick will fall apart if you use them for these ground applications. If you have your heart set on interlocking pavers, realize that there are other types out there beyond brick, types that may actually turn out to be better for your budget and your project. Check out concrete pavers as the main alternative option when it comes to paving stones. If budget isn’t an issue, than natural stone pavers can be a wonderful addition to your home. If you have a home improvement project that you want to DIY or hire a contractor to install, you will need to buy the materials that will be needed for the installation. If budget is a concern for you, you’ll want to do what you can to save money on the materials. This brief ‘slabs for sale’ guide will give you a basic overview of the kinds of slabs available, where you can find them, and how you can get deals. Ultimately, the type of slab you want will depend on the project that you are creating. If you are going for outdoor projects, such as patios, driveways, and the like, you’ll want to go with stone, rock, and concrete slabs. (Note that there are many different kinds of ‘stone,’ from sandstone to marble and more.) If you are looking for slabs for an indoor installation, such as for a countertop or tabletop, you can look for wood or stone slabs. Granite slabs, for instance, are quite popular for these applications. For outdoor slabs, the particular kind of slab you will use will depend on the project. Let’s assume, for example, that you’re building a patio. You will probably want to go with harder options for your patio slabs, such as concrete or hard stone. If you are looking for indoor slabs, you will either choose between wood or stone, of course ultimately depending on the type of project you are doing. For a countertop, you may want to go for granite; for a sink, bathtub, or other area, you could go with soapstone. Wood slabs come in a variety of types, from redwood to walnut and everything in between. The dimensions and thicknesses of these slabs vary widely, so you should be sure about the specs of your ideal slab before you go out searching, as there is no ‘standard’ size given that they can becut to order. Note as well that within each category of slab there is variation in color, size, texture, and general features. Thus, you’ll want to pick your material first, and then figure out which particular slab you want for the project. One of the reasons why slabs are so expensive is that they are heavy and hard to transport. Thus, you will want to minimize the distance the material is transported for it to reach your home. In some circumstances, such as with stone paving slabs, you have little control over this, as the nearest quarry may be far away. As a result, you’ll pay more for the slab due to the shipping charges involved in its transport. That said, don’t just rely on local options for slabs, though that may be the cheapest option in most circumstances. Your first shot is mason supply yards and other materials yards. You can check out home improvement stores like Home Depot and Lowe’s, but it’s very unlikely you’ll find a great deal there due to the markup. After exhausting local supplies, check online for slab wholesalers. Even if they are far away, you may save more overall even though they have to be transported if you can buy cheap slabs in the first place. In addition, keep your eyes peeled on sites like Freecycle and Craiglist. Homeowner will sometimes have extra slabs that they don’t need; perhaps they bought too many or are removing an old installation. Whatever the reason, they may be willing to let the slabs go for a low price or even for free. Of course, before committing to any purchase or transfer of goods, personally inspect the material. You don’t want to be stuck with something that doesn’t meet your specifications, even if it is ‘free.’ If you’re looking for the best, cheapest option, this is by far the one. However, you won’t get the guarantees and peace of mind that you would with regular companies; you also might not get the exact type and amount of slabs that you want. Still, it’s a good risk to take, as you could save a TON of money this way. I highly recommend this above the other options. Note that the following discussion can’t take into account regional and quarry differences in the quality and quantity of material available. If the slab you select is lower quality, you’ll pay less money; if there’s less of the material available, and thus quite rare, you’ll pay more. Since so much is subject to regional variations, we can only give you a general discussion of the costs. These are prices that you’d pay from a typical supplier, so if you find them at the low end or below this range, you know you’re getting a good deal. As you might expect, stone slabs are much more expensive than concrete and wood slabs. This is because this stone is cut from the earth and shaped according to your specifications. Granite, as one example, is a very popular but expensive material, so if you can find granite slabs for sale, you’ll save a ton of money on your project. The price you’ll pay for these materials will vary greatly, so we can only give you a basic price for each of these materials. Limestone slabs are very, very cheap – usually around $5 – $10 per square foot. Marble slabs will run you around $10 to $20 per square foot. Soapstone will run you around $1000 for a sink, or $20 per square foot for a slab. Granite slabs will cost you, as most slabs do, per square foot, a number that will usually hover around $30 to $40, though you will usually pay around $50 to $60 per square foot for the installation. Slate slabs will cost around $10 -$20 per square foot. Wood slabs will vary depending on the size, quality of wood, and type of wood, but you can expect to pay on the order of $100-$300 per slab. Concrete slabs are by far the cheapest option for you. You can either make them yourself (very cheap) or buy them and have them delivered. You will usually pay around $4-$8 per square foot for this material. Overall, it’s hard to give an exact price, given the huge number of variable involved, but we hope at least you have an idea of the ‘order of magnitude’ of prices you may pay. Note that these don’t often include shipping costs, as this will depend on your location relative to the company or supplier. Determining the paving cost you’ll have to pay for your new installation is difficult because it depends on many factors. The general factors that will vary from area to area include: where you live (some areas have higher standards of living and thus higher prices), the time of year you get the work done, the contractor you hire and his or her bid, and so on. However, a general estimate of paving costs can be made according to a number of factors. If you know the type of project, its size, its design, the materials used, and the labor required, you can at least get a ballpark range for your project. The more specific price you’ll pay will have to come from a contractor or from your own calculations if you are installing the project yourself. Here is a general breakdown of the main factors that will affect the paving price you’ll pay. First, determine the type and extent of your projects. Most home paving is done to new driveways, though walkways and patios are also quite popular. Other paving projects may also be possible, including pool decks, garden paving, and retaining walls are not uncommon. Though most projects are similar to each other, there may be enough differences between project types to warrant a discussion. For instance, given the same amount of square footage, a driveway paving cost may be different than that of a patio or walkway due to the specific requirements necessary for driveways (due to the need for the driveway to withstand vehicles) versus these pedestrian applications. Which Paving Materials Will You Use? Next, you need to determine what kind of material you’ll use. This will be one of the most significant factors in the price you’ll pay, matched only by the labor necessary to install the material. The most popular paving materials are loose stone, asphalt, concrete, concrete pavers (paving stones), brick pavers, and natural stone pavers. The general price you’ll pay for these materials is contained in that above list from cheapest to most expensive. Thus, you’ll pay the least for loose stone and the most for natural stone pavers (like flagstone pavers). Incidentally, this is also the order of expense when it comes to installation costs. The further into that list you get, the more extensive, expensive, and intensive is the installation, either for you or a contractor. For instance, asphalt and concrete is simply poured and spread in an area as one slab. Interlocking pavers, however, must be installed individually by hand, making the installation process more expensive and time-consuming. Another important factor related to materials is the base or sub-base you may have to install before laying the top layer. This can also be expensive or cheap depending on how robust the base needs to be. 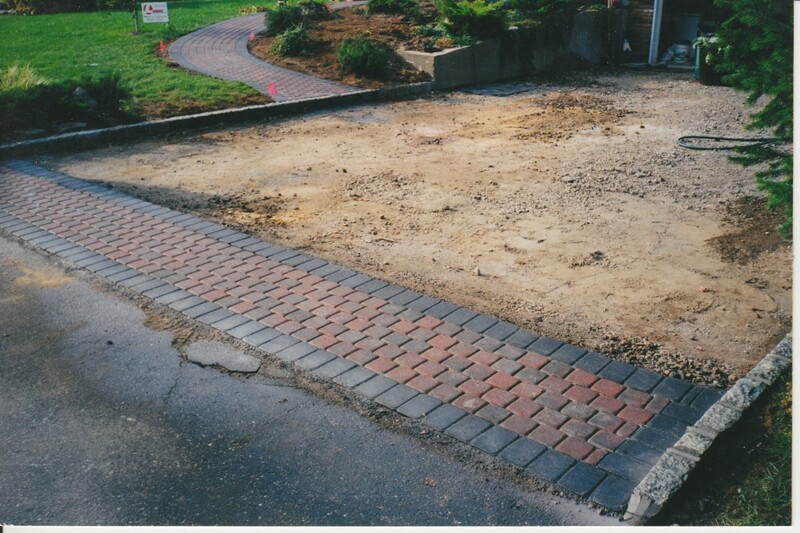 For instance, a paver project requires a base made of both crushed aggregate and a layer of sand. This can cost anywhere from $1 to $3 per square foot or more, depending on various factors such as depth, materials choice, location, durability, etc. The design of your paving project will also have an impact on how much you’ll pay. The more elaborate, extensive, and complicated your decorative paving, the more you’ll have to pay in time and money. Thus, if you want to keep costs down, keep your projects simple and to the point. However, don’t settle for plain designs, as simple tweaks and tips can spruce up any hardscape design without breaking the bank. Obviously, if you install the driveway materials (or other project) yourself, you’ll pay less in financial terms. However, don’t forget that your time is technically ‘worth’ something, as are your efforts and your peace of mind at a job well done. In addition, you may not be able to actually do the DIY paving project due to its difficulty or expense; for instance, blacktop is usually best left to the pros. Most people, then, will want to hire a contractor; as an investment, it offers a high ROI. The total cost you pay will thus be based on these factors. You’ll always want to get bids from multiple paving companies and contractors; don’t necessarily go for the lowest bid, but don’t settle for the highest, either. Find the bid that best balances value and quality. One final note. Don’t forget that certain materials and projects will require more ongoing maintenance than others. For instance, your asphalt paving cost will be higher than the initial price over the term of its life, as you’ll have to pay for sealing and resurfacing to keep it looking nice. In addition, if you have to replace your driveway, patio, walkway, etc. due to poor installation or poor materials, your overall cost will be higher than if you picked a more durable material. Cement, for instance, will crack, perhaps requiring you to repair or even replace the concrete well before its time. Thus, it’s usually better to pay more in the short term than to have to deal with more expense in the long term. 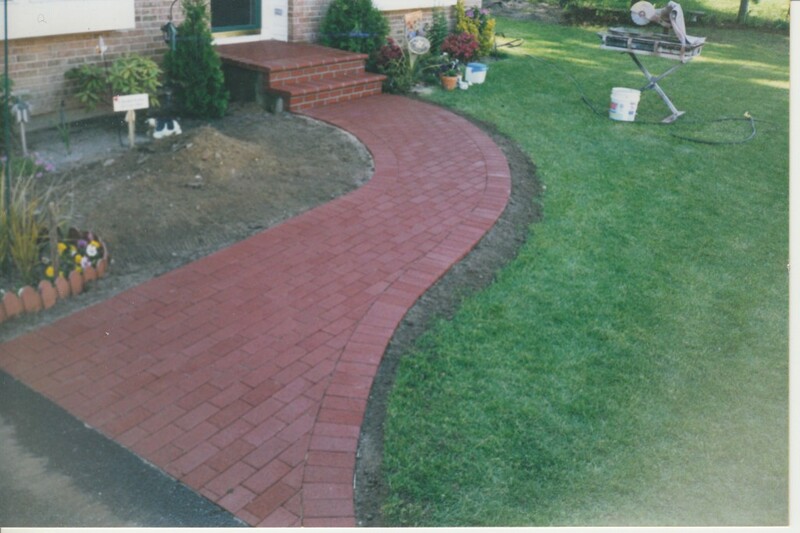 If you’ve decided to use clay brick pavers for your patio, walkway, driveway, pool deck, or other home installation, you’ve made a good choice. However, pricing and budget is probably a big deal for you, and brick pavers aren’t the cheapest option available. Thus, the more work you do to find a good deal on these pavers, the more you’ll save overall, so it should be worth your time to do a little research. To help you out, here is some information on brick pavers prices – what you’ll usually pay and ways to get a good deal or discount on your next paver project. Note that none of the below takes into account installation costs – this is just a discussion of the cost of the material itself per brick or per square foot. Brick pavers are usually bought in pallets, so the cost is usually described in units of per square foot. In general, you’ll pay anywhere from $5 to $15 per square foot; this works out to $.50 to $3.00 per brick or more. Remember, this is just for the material – tack on another $5 – $10 per square foot for installation. In general, you’ll pay more for interlocking brick pavers than you will for concrete pavers, as the material and method to make the brick is a bit more expensive than for concrete. In addition, this price will depend on the exact kind of brick you select. There are many brands, types, and colors out there, as well as different shapes and sizes that can be used to make certain brick paving patterns. The most common and popular option is the standard brick size that you’ll find with standard red brick in other applications, but other options are available if you’re willing to pay. The color and style of brick paver you select will depend on the designs you have in mind for your next brick paver project, but be open to changing your design if it can save you money in the end. (1) Price shop. Obviously, you’ll want to visit as many supply yards and home improvement stores as you can, or at least call, to get a quote on the price per square foot. You might even get lucky and happen upon wholesale brick, which can be significantly cheaper. (2) Brick paver prices ultimately depend on the specifics of your job – what kind of project you’re building, the design, and so on. Thus, consider making the job simpler or smaller if it will lower your overall materials design. (3) Don’t rule out going the ‘used brick paver’ route. You may be able to find brick pavers that other homeowners are trying to get rid of for bargain basement prices – or in some instances, even free. Check sites like Craigslist and freecycle for local leads. As always, make sure you personally inspect the material before paying for it – you want to make sure the color and strength of the brick is still good. Of course, you won’t be getting pristine materials, so be ready to compromise, but don’t compromise too far. (4) Note as well that there are other materials you’ll have to pay for in addition to the brick. Of course, the brick will be the most expensive part, but mortar, sand, edging, and the material to form the aggregate base and foundation will all cost. Don’t skimp when it comes to a base or proper installation, but you may be able to find some cost cutting measures here to help defray the total cost of the project. (5) Visit home improvement stores like Lowe’s and Home Depot and other mason supply yards to see if you can get bricks for sale. They may have salvage or left-over material that you can get for a steal. The more legwork you do, the more likely you’ll find inexpensive materials. (6) Your last resort is the internet. Since you are pretty much limited by your geographical area, you should use the internet to do research on suppliers in your area that you can call or visit. (7) When getting bricks from used sources, make sure they are the right kind of brick! Some bricks are not made to go into the ground, as they will not stand up well to water or to the abuse of vehicles, foot traffic, and weather. So make sure you’re getting proper ‘clay brick pavers’ rather than the pavers used to build walls, stoops, and homes. To get a firm price for your project – which will depend on many factors such as availability, labor, and your area – you’ll need to get an estimate from paver contractors. There are cost calculators out there that can give you an estimate, but since the exact cost is so dependant on many factors, you’ll have to take the cost on a case-by-case basis. Follow the link for a discussion of more brick pavers cost information, particularly those costs associated with installation and labor. If you want to get a new asphalt driveway installed in front of your home, you are probably going with this material due to its low cost. Let’s face it – blacktop isn’t the most unique material in the world, and it doesn’t look as great as other options like concrete pavers. It is strong and durable, however, and it is very cheap because it is so common. So how much will you pay for your new driveway? The asphalt driveway cost will depend on a number of factors, many of which will be detailed and described below. Note, in general, that the main paving costs will derive from two main sources: the materials and equipment needed to lay the new driveway, and the contractors and laborers needed to actually do the work. It is these two main factors that will ultimately determine the asphalt driveway cost per square foot. However, as stated above, these costs will depend on more specific factors. Let’s take a look at some of the important ones. *Oil and other commodity costs. Blacktop is an oil product, so as oil prices increase, you’ll pay more for blacktop. That’s just the reality of the chemistry and economics and is largely unavoidable. And with the continually increasing cost of oil, don’t expect this to decrease any time soon! *The thickness of the asphalt. Some climates may require thicker asphalt in order to protect against frost and other damage. Obviously, this would cost more money. *The depth of the base. 4 inches of gravel is usually the standby, but more or less may be needed depending on the environment. *Your location. If you live in a richer area, you’ll have to pay more for the work. But you probably already know that you’re paying more for products and services, so this is most likely expected. *The contractor you hire. Expect to pay for quality, and be ready to suffer the consequences if you look for and receive a ridiculous bargain. Anyone doing work for bargain basement prices will give you a bargain basement driveway, so buyer beware. However, there is some leeway in the price here, especially if you can team up with your neighbors to get driveways done at the same time. You could get a nice discount this way. *The square footage of your driveway. This is obvious, but remember that a large project may enjoy lower prices per square foot due to increased efficiency of laying the blacktop. *The season. If you get your driveway done during the busy season (spring to early summer), expect to pay more due to increased demand. *The specifics of your job. If you want curves, or if your driveway is sloped, or a myriad of other design features, you may have to pay more for the privilege. *If any problems or issues pop up during the installation, expect to pay. For instance, if the contractor has to deal with utility lines at all and needs to hire a subcontractor, you’ll be footing that bill. A general rule: The smoother the job, the less you’ll have to pay, so try to be open about any potential issues before the work begins. *If you want special kinds of asphalt, such as stamped or colored, you’ll pay more. *If you combine asphalt with other driveway materials, you’ll obviously have to pay for the installation of those materials too. For instance, many people get concrete pavers or natural stone pavers (cobblestones) as an apron and border for an otherwise asphalt driveway. This will cost you more than a plain blacktop drive. Ultimately, it’s hard to give an exact price given that costs depend so much on local factors. For an exact measurement of your cost, you’ll need to get an estimate done by a local contractor. You can also use an asphalt driveway cost calculator to help give you a more focused estimate, though it won’t always be entirely accurate. Always get more than one bid or quote, as you’ll want to see what different contractors will offer you for the job. Don’t necessarily take the lowest price – balance out the quality of the work with the price you’re willing to pay. Substandard work will always come back to bite you. Note that your expenditure won’t end when the asphalt is newly installed in your front yard. You will also have to pay repair and maintenance costs down the line if you want your driveway to last long. Consider it part of the fixed cost of the driveway – the consequences of not maintaining your driveway could be getting a whole new one, a very expensive endeavor. 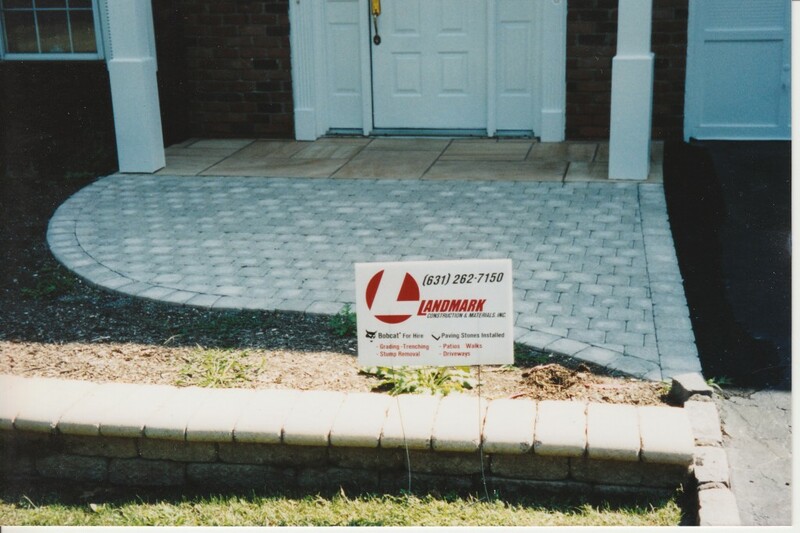 Periodic sealing, sealcoating, and resurfacing will help keep your driveway looking great. Expect to pay anywhere from 10 to 20 cents per square foot for these services if you don’t do it yourself. One of the greatest expenditures you need to make when installing your next driveway, patio, walkway, pool deck, or other paver project is the cost of the pavers themselves. The price of the pavers will vary on a lot of factors, but the more you can save, the better the price per square foot that you’ll have to pay. This can truly add up if you have a large project or multiple projects that you want to install. In fact, the more square footage you install at a time, the more overall you’ll save, as you’ll make the installation process more efficient than if you have contractors come back multiple times to do separate jobs. Note that the same pavers can be used multiple projects – driveway pavers are the same as pool pavers and so on. First, consult with your contractor, if you have one. He or she may be able to get you a good deal on pavers, such as wholesale, or from their own sources, especially if he or she has any leftovers from a previous job. You might be able to get used pavers for sale in this way. However, always compare prices with other contractors to see which one gives you the better offer. Some may give you a break on the total price if you buy materials through them, so don’t automatically assume that you’ll get a better deal on paving stones by getting them yourself. If you’d like to try buying pavers for sale by yourself, find the local mason supply yards and home supply stores in the area. You’re more likely to get a good deal with a local mason yard, though you might also get lucky at a chain store occasionally. See if the yards have any deals available, such as damaged or ‘seconds’ product available. If you’re more concerned about function, and not necessarily about looks, you may be able to get a great deal. Otherwise, shop around and see which yards and stores will give you the best deal on the quantity you want to order. First, check sites like Craigslist and other classified ads. You may find that local individuals are selling leftover or used pavers for a great price. In fact, you might even get them for free, as long as you go to their home or business and remove them yourself. Other places for free stuff are sites like Freecycle. You might be surprised at what you find, actually. Of course, you’ll want to see the material in person before you agree to take it, because it may be in very poor condition, and you’ll want to make sure you’re satisfied before making a commitment to remove it. 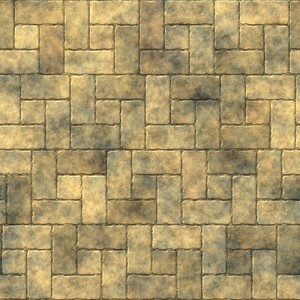 You can also check out online dealers for paving stone products. This may be a good way to learn about the concrete and brick pavers for sale, different brands available, and the local dealers that supply them, just in case you may have missed some in your initial search. Overall, however, you’ll probably have more luck sticking locally than trying to use the internet to find paving stones from official manufacturers. Check around your own house or your friends’ and family’s houses. You may find pavers that you can ‘recycle.’ The only cost you’ll have to pay is the time needed to move the pavers to their new location. Note that the above also applies if you’re looking for other materials, such as grass, landscape, and thin pavers for sale. If you have any other ideas or sources, leave them in the comments! Perhaps you are looking to build a stoop, walkway, or other masonry project, and you’re looking for bricks for sale at an affordable price and easy availability. Where do you turn? There are many places that sell brick of different materials, quality, colors, and designs, so do your research before making your final choices. Hopefully this article will give you ideas and tips to help you make the selection that’s right for you. First, you need to decide what kind of brick you want to purchase. Looking for paving bricks for sale, for example, will require different research and questions than looking for concrete pavers or natural stone brick. Each type of material has its advantages and disadvantages, many of which are covered in other places in this website. Once you’ve decided what kind of material you’re looking for, you can start checking the different sources available locally and over the internet. The first obvious choice to look for bricks for sale is at your local hardware store, such as chains like Home Depot and Lowe’s or more mom-and-pop locations. While you may find some brick here, the selection and prices may not be great. However, it’s usually a painless place to visit, is homeowner friendly, and you can easily find customer service to help you out. For those who want more options and better prices, a mason supply yard may be another good bet. These yards cater primarily to business owners like masons and other contractors, but homeowners can also buy materials from them. These places carry more selection at better prices than hardware stores, and you can often get certain types of brick ordered from the manufacturer through the supply yard. They will also deliver the material to your house for a fee. However, mason supply yards can be somewhat intimidating for the homeowner, but don’t sweat it – just ask for help and you shall receive. Another popular option is to resort to websites like craigslist to find brick pavers for sale and other materials. The advantage of this option is that the supplies will be local, plentiful, and often in good condition. Best of all, you can get a great deal on these pavers; sometimes you can get them for free as long as you remove them from their home site on your own dime. There are some disadvantages, though. These bricks will often be used, and thus could be in questionable condition. Also, you have to be careful about dealing with scammers and other questionable people on sites like craigslist. As long as you are OK with the risks, you may be able to get an excellent deal. If you are buying used bricks, always find out what they were previously used for, their current condition, and their age. You need to make sure you are getting quality material if you want to build a quality project. You can also check general internet sites for bricks for sale. There are some websites that purport to sell bricks and slabs of various types, but it’s usually better to deal locally whether you go the offline or online route. In general, it’s a good idea to get recommendations from friends and family. If someone you know has recently bought brick, ask them for recommendations or help. You can also call a local mason or contractor for help; they will often deliver brick to you and help you obtain what you need, for a small fee, even if you are installing them yourself. You may find, though, that you would rather have that contractor install your bricks too! Always make your final selection after looking at the product in person. Pictures can be deceiving no matter how much the manufacturers try to make the images match the products. Make sure you buy extra brick for cuts and waste, so add some extra brick in to your calculations when you figure out how much material you’ll need for your stoop, patio, walkway, steps, driveway, pool deck, barbecue pit, garden, landscape, retaining wall, or some other project.